With cottage inspired design with a modern twist. This charming bathroom furniture features classic styling with a matt white finish cabinet and Carrera marble top. 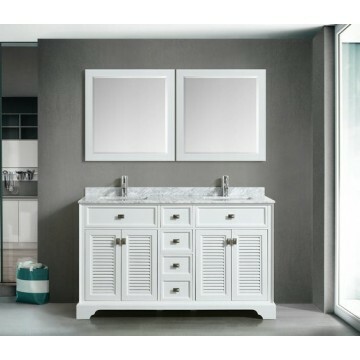 Its clean design will blend beautifully with any bathroom style.